Regional Environmental Services understand the often devastating impact of pest related problems, which is why we provide preventative measures and advice in addition to the treatment and solution of existing situations. 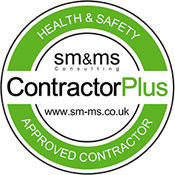 Each of our pest control products and services are designed to meet the specific legislation and requirement of each individual industry and project. Building and environment assessments inspections and reports. Most commercial properties will experience some form of pest problem at some time. This being either rodent or insect, it is best dealt with by having a pro-active pest control company in place to provide correct and effective action. Why Choose Regional Environmental Services? Regional Environmental Services is an amalgamation of highly trained pest control technicians and technical support managers. We offer comprehensive control of all UK pest species via access to the latest techniques, products and equipment. Our aim is to offer a quality pest control service at a competitive rate. Our technicians are highly trained, with good solid technical backing. As a company, we are fast, reliable and efficient in our response to clients’ needs. In compliance with the Food Safety Act 1990 and the specific term of due diligence, we offer a detailed and concise reporting system. This is designed, not only to draw your attention to present pest problems but also to areas of potential problems such as housekeeping and proofing. Most importantly we advise on methods of prevention of pest infestation and measures that you need to take, to meet your legal obligation. 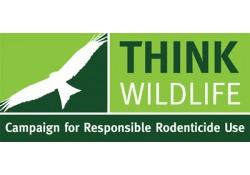 Whilst operating a system of control maintenance and riddance of pest species, we are very aware of the need to safeguard against the risks of harming non-target species. We are compliant with the new 35 day rule system of monitoring with nontoxic methods, and only using toxic rodenticides or trapping methods should an infestation occur. This system is very closely controlled and monitored by risk assessment. Following a period of 35 days, we decide the next process of control or monitoring that is most appropriate for your premises. 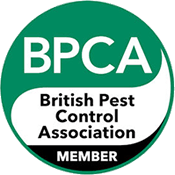 We provide business to business pest control services in London and across areas in the south such as Salisbury, Southampton, Bournemouth and Winchester. For more information, please contact a member of the Regional Environmental Services team.